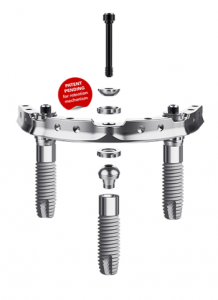 Nobel Biocare’s All-on-3 Trefoil system enables increased precision as well as adaptive implant surgery, that automatically adjusts to any deviations that will inevitably be experienced during the implant placement process using an innovative universal ball-joint design to a pre-manufactured arch bar. 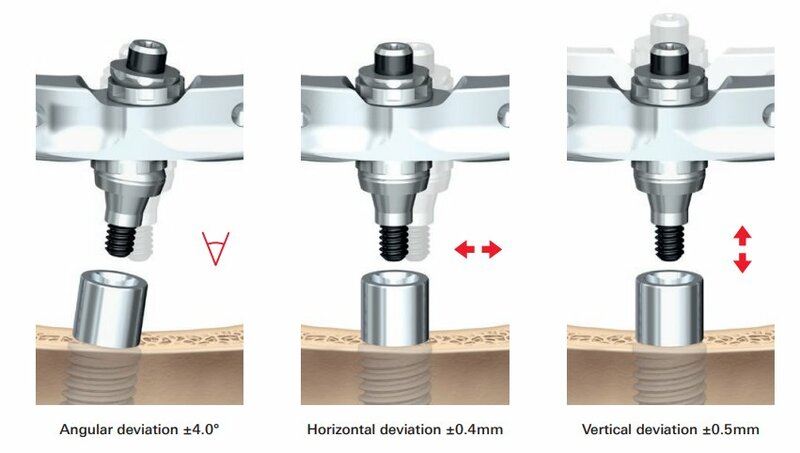 The innovative universal joint can accommodate up to 4 degrees of angular deviation, 0.4mm of horizontal deviation and 0.5mm of vertical deviation. This state of the art system enables many benefits for the dental professional, as it allows teeth to be made on the day of the surgery and allows for the more efficient implementation of those teeth at a more affordable cost for the patient. The patent for the system is currently pending, but the system could mean increased patient satisfaction, with experienced professionals able to deliver the complete implant treatment in just six hours, including implant placement and restoration, which is a huge time and cost savings.